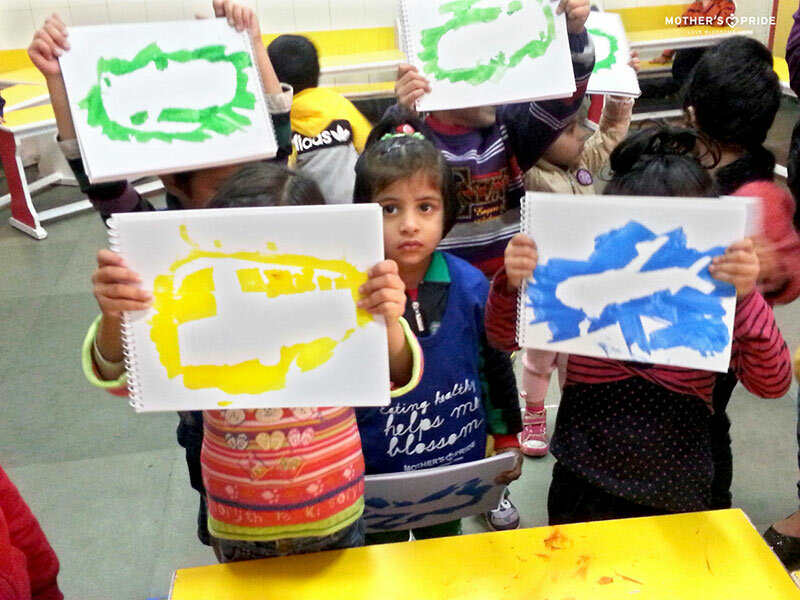 A Vehicle Stencil activity was organized in Mother’s Pride school to encourage children to identify different vehicles. 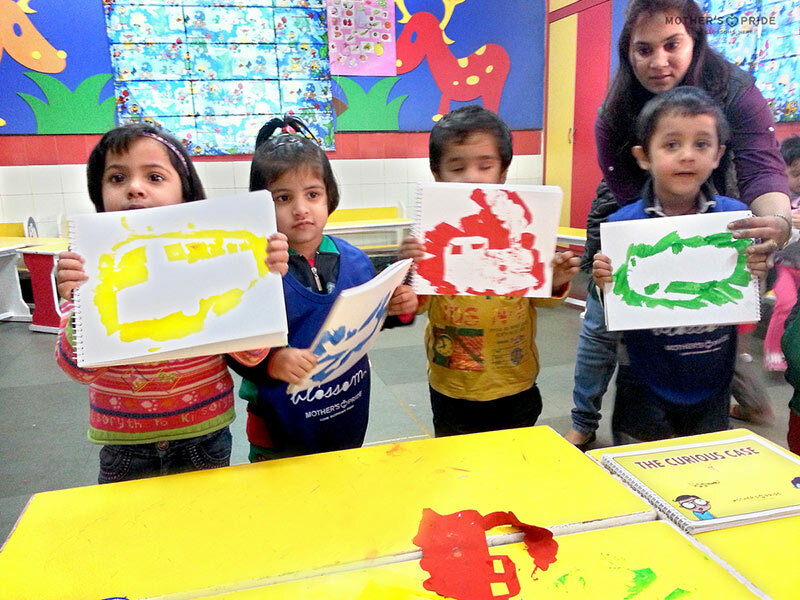 Each child was given stencils of different types of vehicles along with colors. They created impressions of the vehicle using the stencils in their scrapbook and later identified the vehicles after seeing the impression. 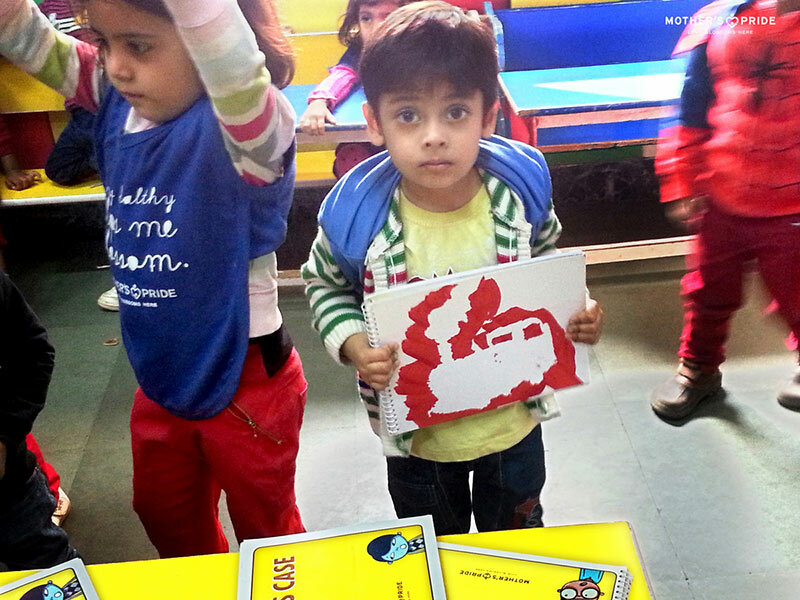 Children were encouraged to share their travel experiences. They also shared their ambition to create their own vehicles by “magic”. 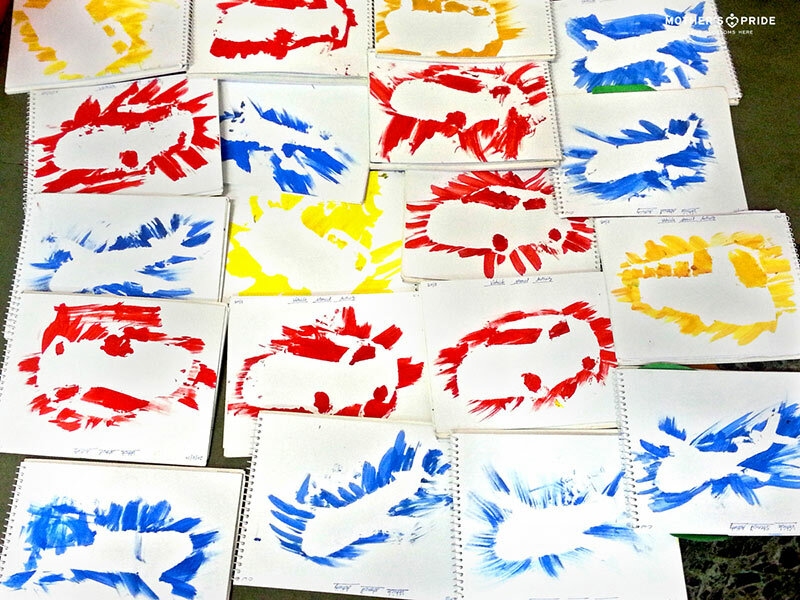 All the children were extremely excited and completely involved in the activity.